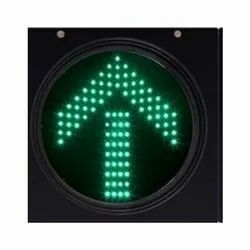 Providing you the best range of solar green blinking arrow with effective & timely delivery. We are engaged in offering a Solar Powered Green Arrow Traffic Signals Blinker. Manufactured using the superior quality raw material, these Green Arrow Traffic blinker signals are known for their uninterrupted operations and self-generated power. Easy to install, No electrical wiring required. High-quality weatherproof construction for long term durability. Road Divider, Under-Construction sites Police Barrier. It can be used at the low and medium traffic roads at where it can serve well, as the alternate of Traffic Signal. Roadside indication for construction activities. Entry Gate for Important buildings. Packaging Details: Product has packed in corrugated box,with tapped locking strip ,and wrapped by water clear plastic. Looking for SOLAR TRAFFIC BLINKER ?